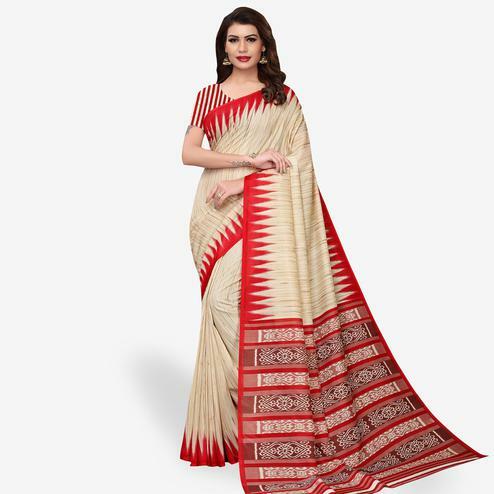 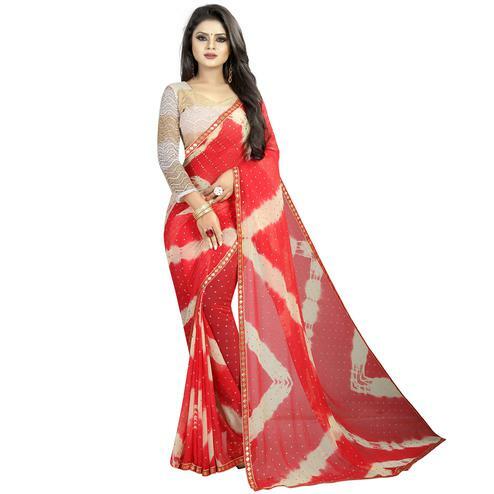 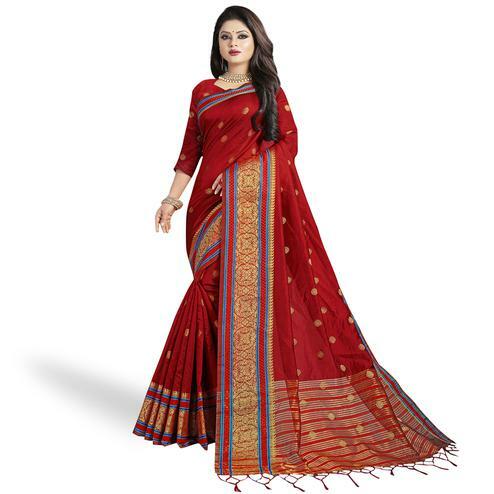 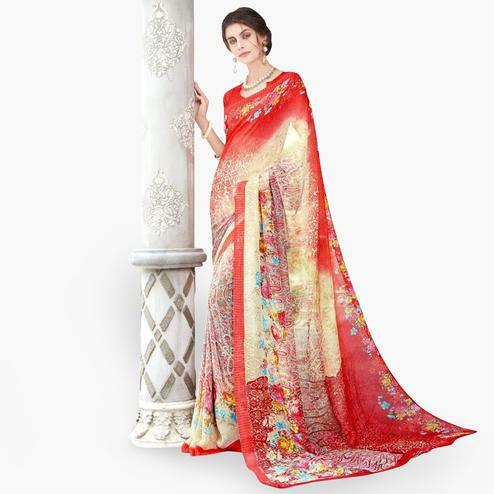 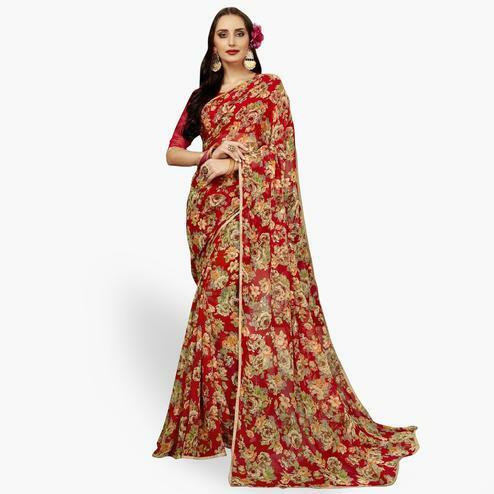 Stand Out From Rest With This Exotic Net – Red Half & Half Saree. 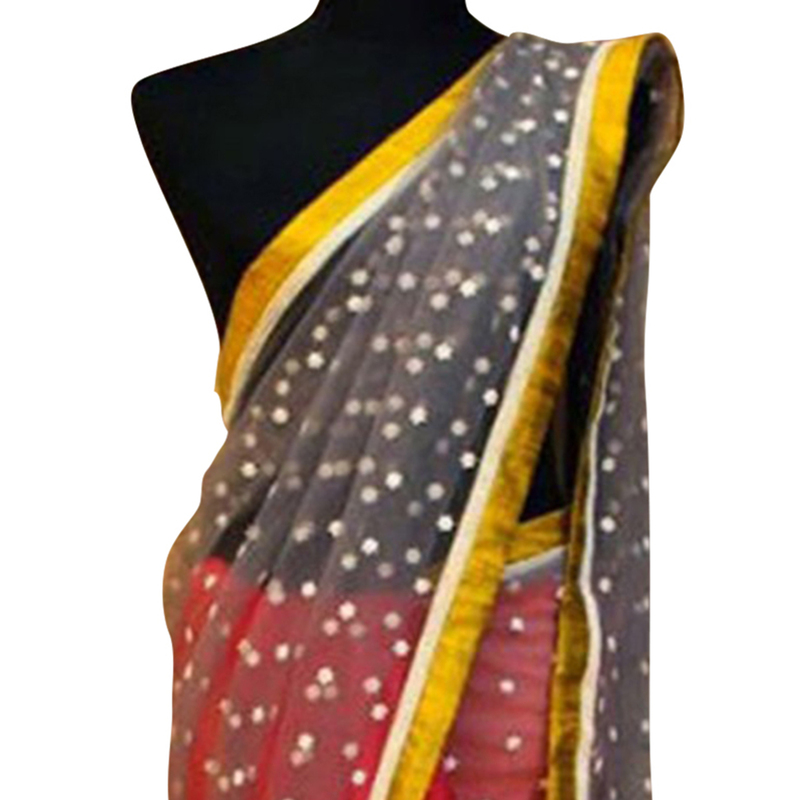 The Attire is Beautified with its Multi Thread Work & Eye Catching Contrast Border. 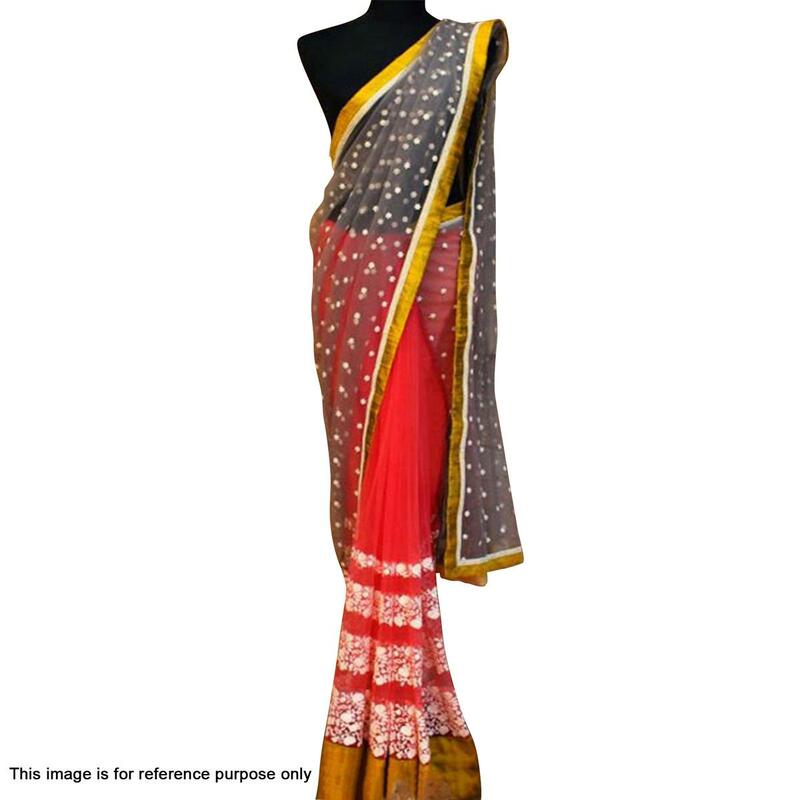 Comes with a Matching Banglori Silk Blouse.